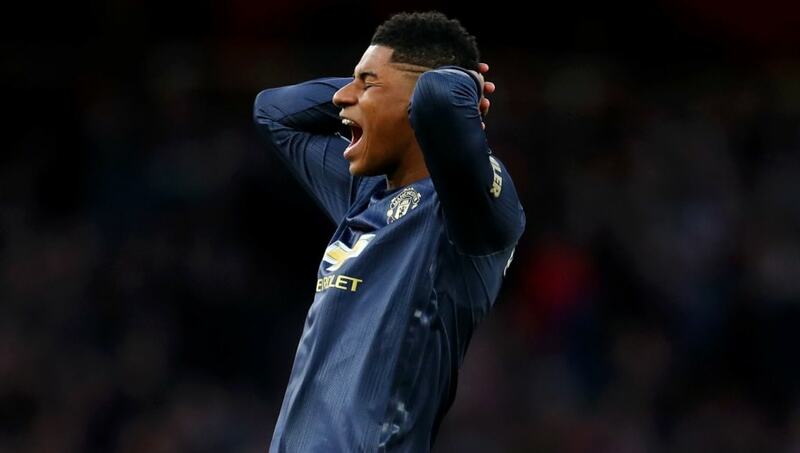 ​Manchester United have been tipped to trigger a 12-month extension clause to keep home grown star Marcus Rashford at the club for at least another year beyond the end of his current contract, considered a fall back option if talks over a new long-term deal fail. As things stand, Rashford is due to be out of contract in the summer of 2020 and would have just a year left at the end of this season. It would leave United vulnerable to losing him, but activating the extension will at least push the expiration date to 2021. Ongoing talks over a new long-term contract have been rumoured for some time, but no agreement appears to have been reached just yet and The Sun claims that United are considering their options in the worst case scenario that Rashford doesn't sign. The tabloid quotes a 'United source' as saying: "We are looking to take up the option on Rash. "The talks are going well but are dragging a bit. We're not worried that he won't sign but it is just in case. He wants to stay here and we know that but it is more for cover. "This is just a fail-safe option. We will see what happens over the international break. His new deal does not include bonuses. Rash has rediscovered his best former under Ole and he feels great under him. It might be down to Ole getting the permanent job confirmed." It was previously reported by the press in February he was ready to sign a new six-year deal. At that point it was claimed there would be an announcement 'in the next few weeks', a time frame that is arguably still active less than a month on from that story. Despite appearing in more games than any other United player under Jose Mourinho in both 2016/17 and 2017/18, Rashford has gone from strength to strength under Solskjaer. Operating more often than not as a central striker rather on the wing, a clear choice Solskjaer made in his first game in charge back in December, Rashford has scored eight goals in three months for the Norwegian coach. He has already bettered his best ever Premier League tally and is just one shy of matching the 13 goals he managed in all competitions last season. Speaking in early January, Solskjaer laid out his vision for Rashford to be United's 'number nine'. "He gets kicked, he gets tackled, he goes for headers, he wins, he challenges, he runs. He is going to be a top, top number nine, definitely," the boss said at the time.